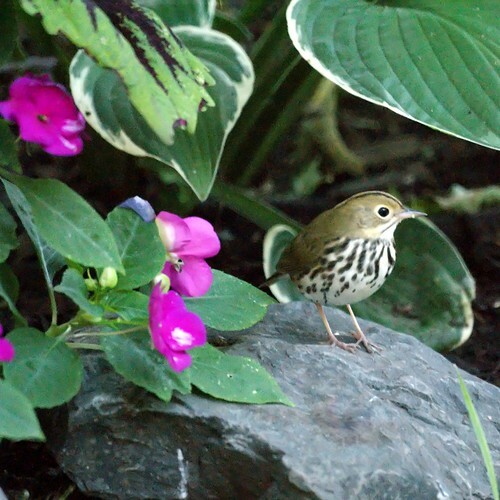 Frequent visitors to the site know that Chris greatly appreciates it when birds visit her plants. 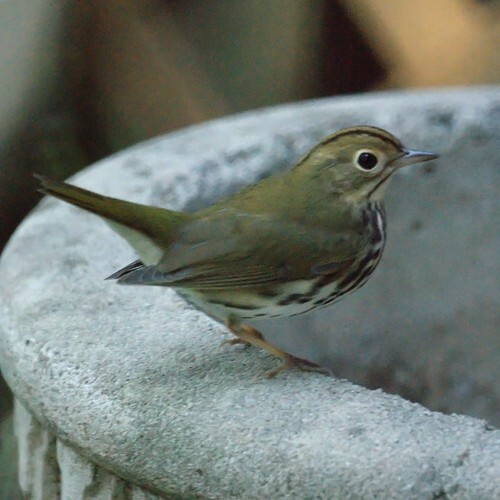 The ovenbird is one of the first fall migrants to stop by. We also had a black-throated green warbler today, but no clear photos. Very Nice bird and garden.